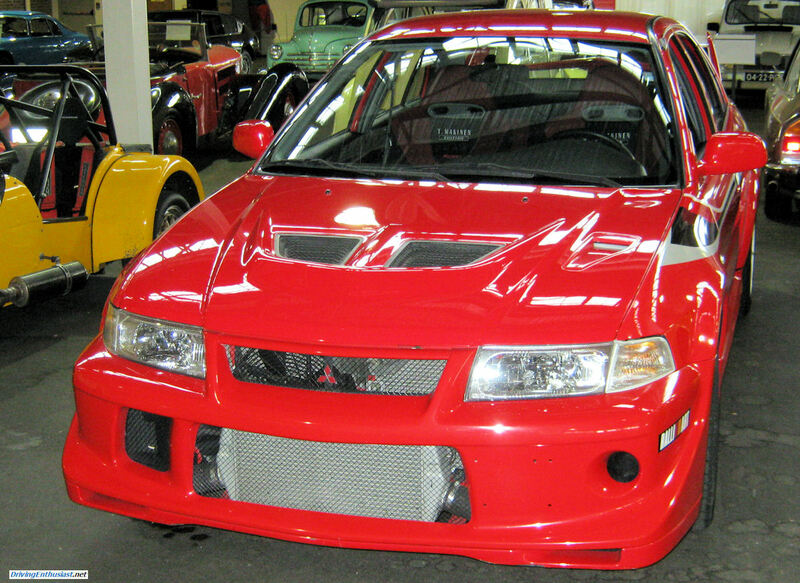 The Lane Motor Museum in Nashville TN USA is very fortunate to have a Tommy Makinen special edition Evo VI in its collection. This is a special edition factory-built limited edition Evothat honors the victories achieved by Tommy Makinen in the World Rally Challenge. We had an opportunity to get a close-up look at this car on a recent visit. Given the fact that the the Evo wasn’t imported into North American until it’s 8th generation, this may well be the only Evo VI here, and is very likely the only Tommy Makinen edition in North America. 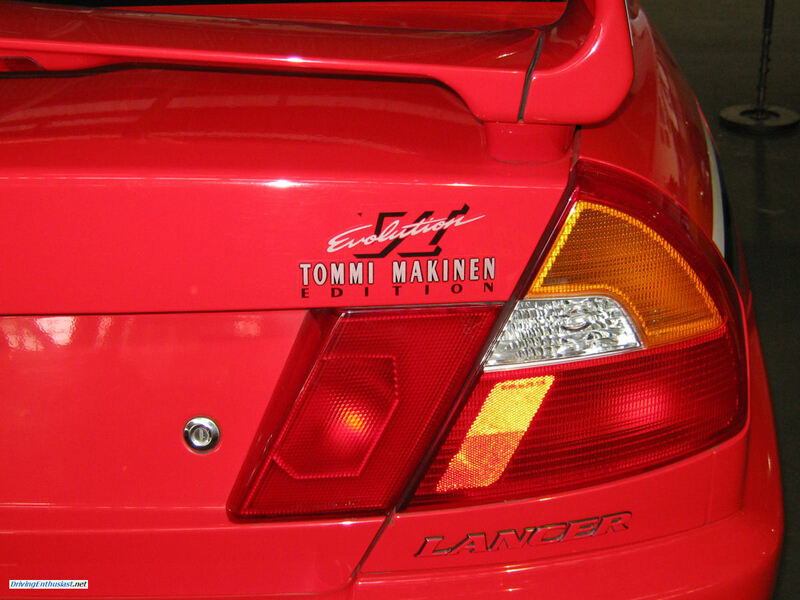 The Tommy Makinen edition has several important functional enhancements over the regular production GSR and RS models which enhance it’s driving capability. Full specifications are provided in the press release below. 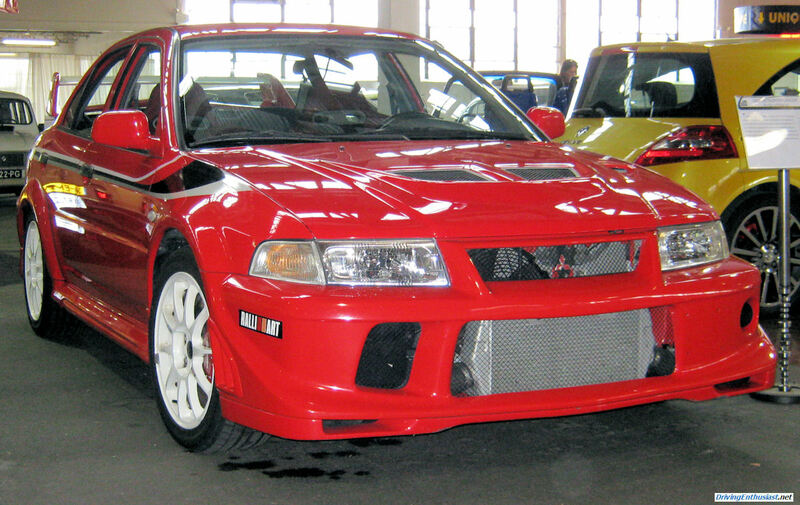 Seeing this early edition Evo reminds us once again that Mitsubishi should have brought the Evo into North America right from the start, instead of waiting until the 8th generation. 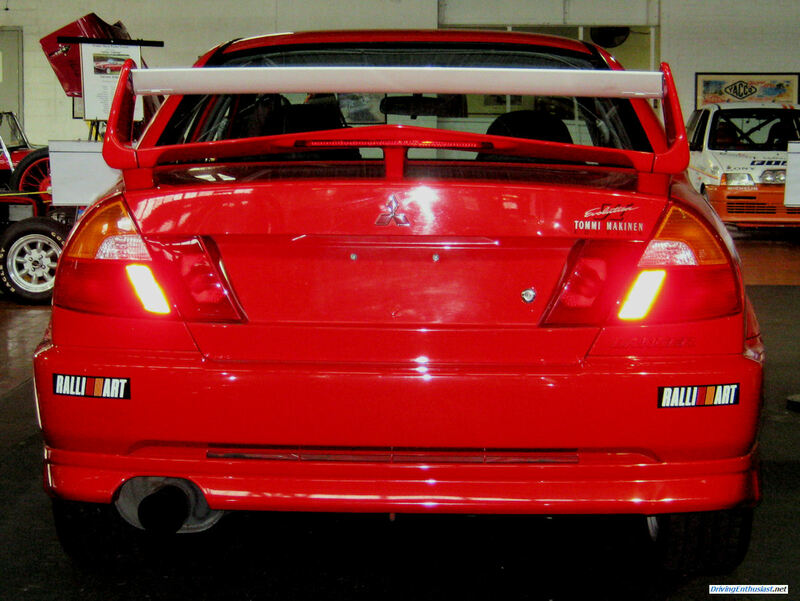 It also reminds us that if Mitsubishi fails, the current 10th generation car will likely be the last Evo ever made. Mitsubishi Motors Corporation is to launch a limited series model to commemorate rally ace Tommi Makinen’s (*1)prodigious feat of winning his fourth consecutive Drivers’ Championship in this year’s World Rally Championship. 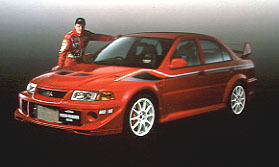 The LANCER Evolution VI Tommi Makinen Edition will go on sale at Galant dealerships throughout Japan on Saturday 8 January 2000 at a manufacturer’s recommended retail price in Tokyo of 3,278,000yen for the GSR and of 2,598,000yen for the RS trim levels.In response to this news, Tommi Makinensaid, “Wow. To have a car named after yourself. That’s something else. 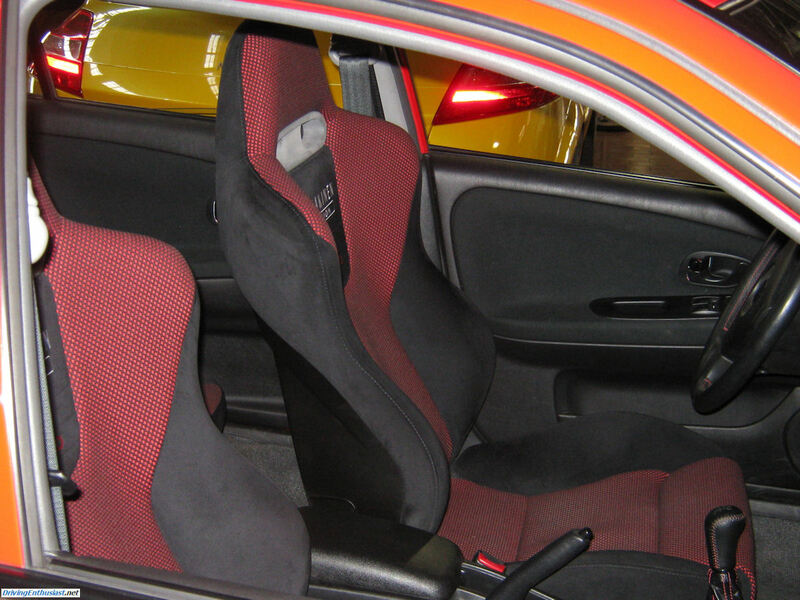 Over the years, I have made a number of suggestions for the LANCER Evolution series, stressing the importance of making it easy to control and fun to drive and ride, as well as giving it high levels of performance. The LANCER Evolution realizes a beautiful balance between all performance parameters and it really provided me with the perfect car to re-write the WRC record book. I would just like to say that anyone who buys the LANCER Evolution has made the “Right Choice”. (*1) Born in Jyvaskyla, Finland on 24 June 1964; 35 years old. WRC debut was the 1000 Lakes Rally in 1987. Came to the fore in 1990 driving a GALANT VR-4 Group N machine to 3rdplace in the FIA Cup Ranking. After joining Mitsubishi RalliartTeam in 1995, has won the WRC Driver’s Championship four years in a row since 1996. His total of 19 WRC victories places him third in all-time winners. He renewed his contract with Ralliart in October and will drive LANCER Evolution Group A machine in the 2000 season when he is aiming to re-write his own record book, to make it five Drivers’ Championships in row and to help Mitsubishi Ralliart to the Manufacturers Championship. 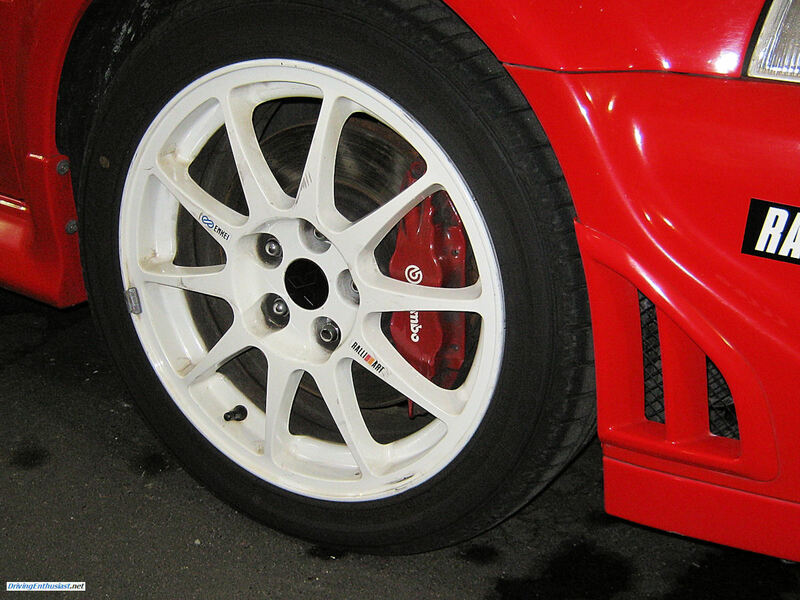 Quick-steer gear ratios, standard on the LANCER Evolution VI RS, are also standard on GSR. A new muffler uses a single large bore circular tailpipe for improved and quieter performance. The front strut tower bar, standard on the LANCER Evolution VI RS, is also standard on GSR. The front bumper features a new powerful design that improves aerodynamics and lowers air intake temperature to stabilize power output characteristics. The front bumper extension brings further improvements to aerodynamic performance with redesigned airflow ducting. 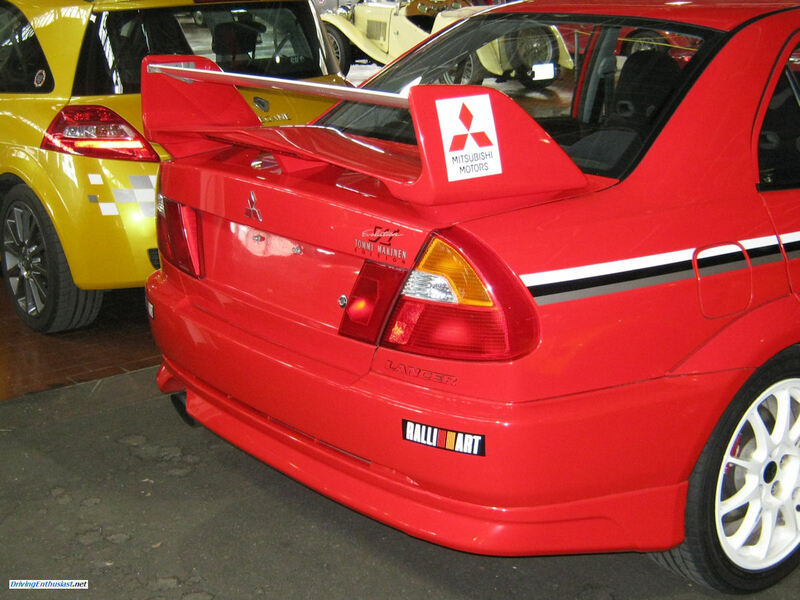 WRC stripe, Ralliart decals (on ends of front and rear bumpers), Mitsubishi 3-diamond decal on ends of rear spoiler), upper wing section of rear spoiler finished in white, rear panel garnish, body-keyed door sashes, amber front indicator lenses, door handles finished in black. 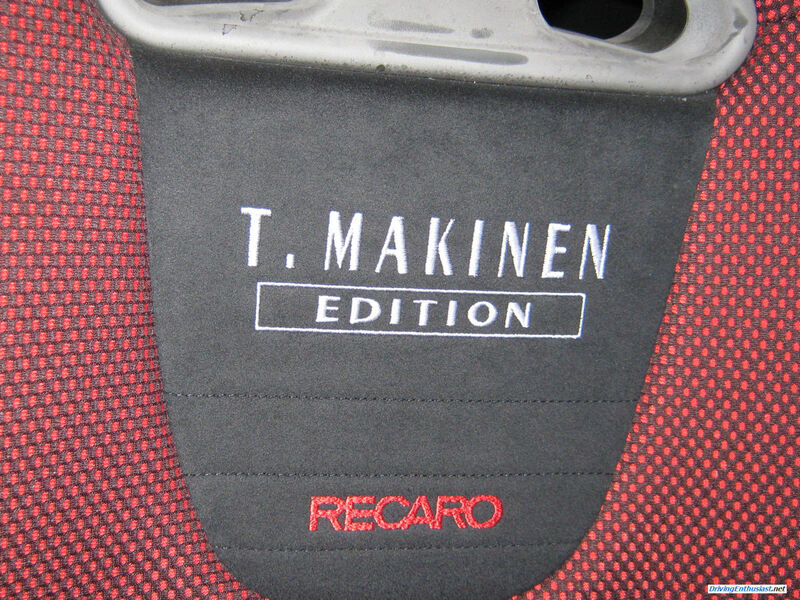 Recaro bucket seats using red fabric / EcsaineRsuede upholstery embroidered with Tommi Makinen logo are standard on GSR. 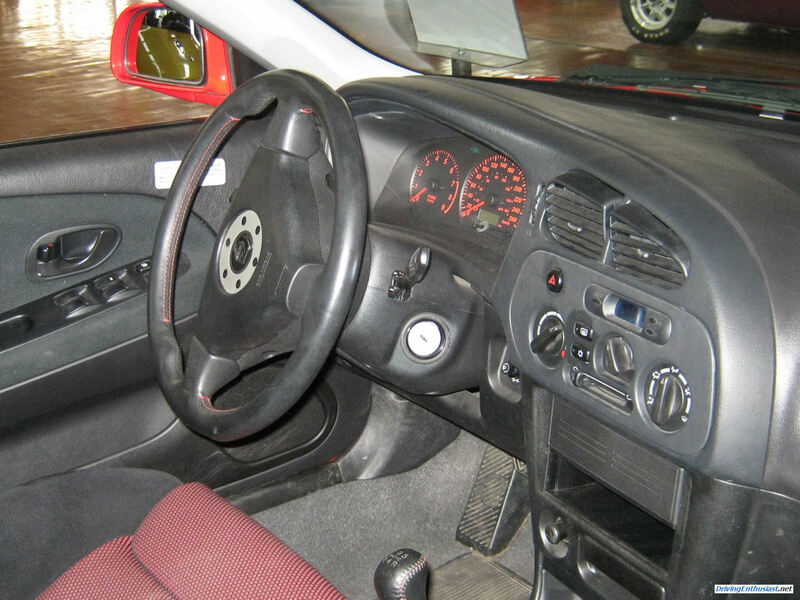 Dashboard is finished in black with red lettering. Instrument dial faces use exclusive colors. 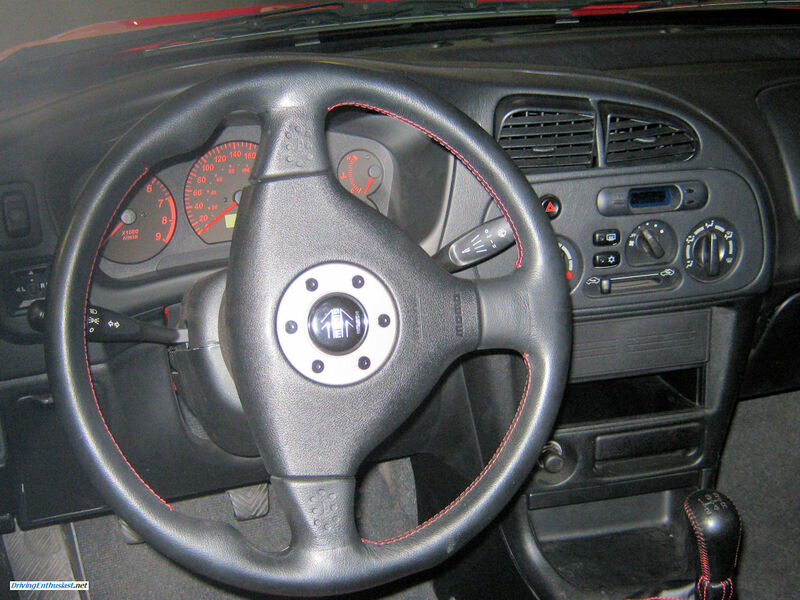 MOMO steering wheel and gear stick knob and boot are trimmed in red-stitch leather.